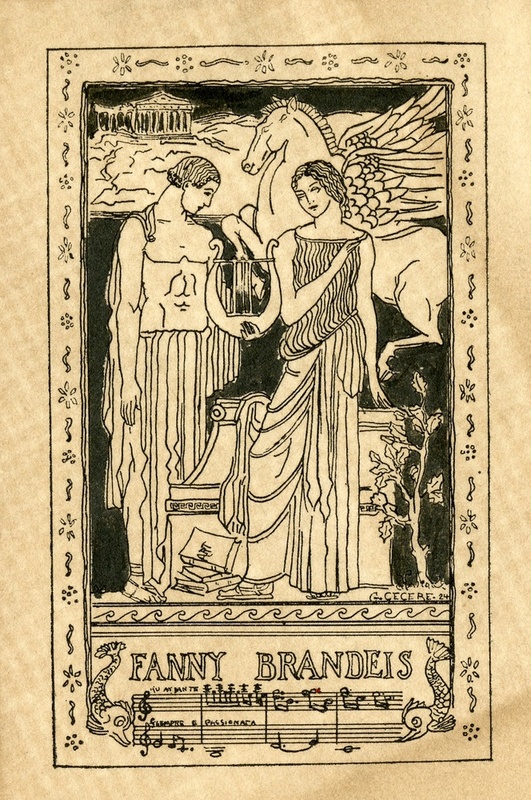 Pictorial-style personal bookplate with scene of Greek mythology; acropolis, Pegasus and other symbols surrounding a male and female figure. Patterned border. Name banner with line with four measures of music below. 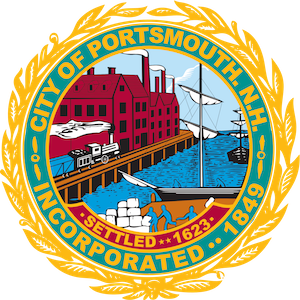 ~ G. Cecere , “Fanny Brandeis,” Portsmouth Public Library's Online Archives, accessed April 21, 2019, http://portsmouthexhibits.org/items/show/1852.